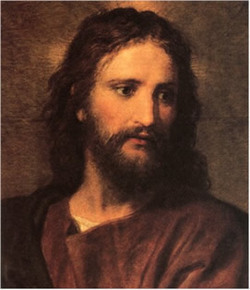 All Christians believe that Jesus Christ is the only name, and the only way to salvation. All claim to be His church, and yet, all disagree on His doctrine. There are several aspects of claiming to be Christ's true church — true doctrine, true authority, and revelation. The Church of Jesus Christ of Latter-day Saints, sometimes erroneously called the "Mormon Church," claims to be the only true and living church of Christ on earth, and it bases this claim on having true doctrine, true authority, and the constant guidance of Jesus Christ through revelation to its leaders, with a prophet at the head of the Church. Mormons have a different idea of religious history than other Christians, informed by revelation and revealed scripture. Mormon scripture demonstrates that the Plan of Salvation was authored by God before the world was created, and that Pre-Mortal Life, mortality, and the afterlife constitute an eternal continuum meant to give man eternal joy. "Eternal life," according to Mormonism is the life that God lives, since He is eternal. This is an eternity in the highest kingdom of heaven where God's full presence shines. The Lord has given us His mission statement, as recorded in the Pearl of Great Price, in Moses 1:39 — "For behold, this is my work and my glory—to bring to pass the immortality and eternal life of man." Both of these goals are realized through the atonement of Jesus Christ. "And every plant of the field before it was in the earth, and every herb of the field before it grew: for the Lord God had not caused it to rain upon the earth, and there was not a man to till the ground." "And every plant of the field before it was in the earth, and every herb of the field before it grew. For I, the Lord God, created all things, of which I have spoken, spiritually, before they were naturally upon the face of the earth. For I, the Lord God, had not caused it to rain upon the face of the earth. And I, the Lord God, had created all the children of men; and not yet a man to till the ground; for in heaven created I them; and there was not yet flesh upon the earth, neither in the water, neither in the air...."
"And Adam and Eve, his wife, called upon the name of the Lord, and they heard the voice of the Lord from the way toward the Garden of Eden, speaking unto them, and they saw him not; for they were shut out from his presence. And he gave unto them commandments, that they should worship the Lord their God, and should offer the firstlings of their flocks, for an offering unto the Lord. And Adam was obedient unto the commandments of the Lord. And after many days an angel of the Lord appeared unto Adam, saying: Why dost thou offer sacrifices unto the Lord? And Adam said unto him: I know not, save the Lord commanded me. And then the angel spake, saying: This thing is a similitude of the sacrifice of the Only Begotten of the Father, which is full of grace and truth." Adam taught his descendants that Christ would come, and so did the prophets who followed him. "And thus the Gospel began to be preached, from the beginning, being declared by holy angels sent forth from the presence of God, and by his own voice, and by the gift of the Holy Ghost. And thus all things were confirmed unto Adam, by an holy ordinance, and the Gospel preached, and a decree sent forth, that it should be in the world, until the end thereof; and thus it was. Amen" (Moses 5:58, 59). "And, notwithstanding we believe in Christ, we keep the law of Moses, and look forward with steadfastness unto Christ, until the law shall be fulfilled.... And we talk of Christ, we rejoice in Christ, we preach of Christ, we prophesy of Christ, and we write according to our prophecies, that our children may know to what source they may look for a remission of their sins" (2 Nephi 25:24, 26). Thus, doctrine has been consistent since Adam, having been revealed to all the prophets. The Law of Moses was a schoolmaster law given to the Israelites, who were unwilling to accept the higher law and enter into God's rest. Moses testified of Christ. The schoolmaster law was foundational for the Israelites, but not the actual foundation for Christianity. It was a set-back, not a beginning. "And now behold, Moses did not only testify of these things, but also all the holy prophets, from his days even to the days of Abraham" (Helaman 8:16). "For behold, did not Moses prophesy unto them concerning the coming of the Messiah, and that God should redeem his people? Yea, and even all the prophets who have prophesied ever since the world began—have they not spoken more or less concerning these things" (Mosiah 13:33)? These were not just prophecies of the future. The prophets understood Christ's doctrines, too, and many saw Him. Thus, doctrine is eternal truth and cannot change. Note that doctrine is not the same as policy, which is altered from time to time to help God's children progress and to help God's kingdom on earth to be built up. For instance, Peter received a revelation to take the gospel to the gentiles. This was a change in policy, not doctrine. Having been received by revelation, it proves that this was the true and living church of Christ. A living church is dynamic, adjusting after receiving revelation in order to grow the kingdom. The orthodox churches, such as the Roman Catholic Church, claim to have authority from God through apostolic succession. But authority must be passed down through the laying on of hands from one person with authority to another. Men who hold authority are privy to revelation for the guidance of the Church. The heads of the church must then be revelators, for whom the role of predicting the future is minor compared to receiving revelation for the guidance of the church. Mormons, and all Protestants, claim that orthodoxy lost apostolic authority and came to rely on the judgment of men to lead. This is plain in the history of Catholicism, which includes much violence, power struggles, schisms, and even debauchery. Martin Luther, who gave so much power to the reformation, protested at a time when the Medici Popes inhabited the Vatican and sold indulgences (salvation for money) to fill the church coffers. Luther reviled this and other practices symptomatic of the loss of authority from God, the cessation of revelation to the popes, and corruption of doctrine and religious practice. Mormons have learned that a reformation was not enough to bring back Christ's original church, with lost authority and doctrine. The plethora of protestant churches born out of the reformation and years since, with their differing doctrines, shows that confusion reigns. God's house is a house of order, not of confusion. The reformation, with its brave reformers facing punishment and death, coincided with an enlightenment and an age of reason, leading to the birth of a free nation, the United States of America. Here, there was fertile ground, where the Lord could restore all that was lost. Throughout the Old and New Testaments, we see angels visiting from time to time to forward God's work on earth. These things did not cease with Christ. An angel visited the apostles at the time of Christ's ascension to heaven. With the authority to act in the name of Christ comes power. All the charismatic gifts have been restored and are common in The Church of Christ. When people are baptized by immersion by one with authority, they are privileged to receive the Gift of the Holy Ghost, which is the constant companionship of the Holy Ghost, as long as they continue in worthiness. Thus, members of the true church are blessed with continual revelation as they seek it. Leaders receive revelation specific to their callings, and parents for their households. The Church of Jesus Christ of Latter-day Saints is headed by prophets, seers, and revelators — imperfect men who nonetheless lead by revelation. This church, however, has Christ at its head, and He directs the affairs of the Church. This page was last edited on 19 December 2011, at 14:48.